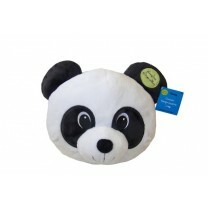 Here is a pretty cushion with its cute Panda big head. Open the zip at the back and hide baby's pyjamas inside! Made of a super soft plush, this big panda pillow is perfect to stall baby, then it will follow him while growing in his multiple games and lovely hugs. A zip opening on the back permits to manipulate it easily and store baby's pyjama. 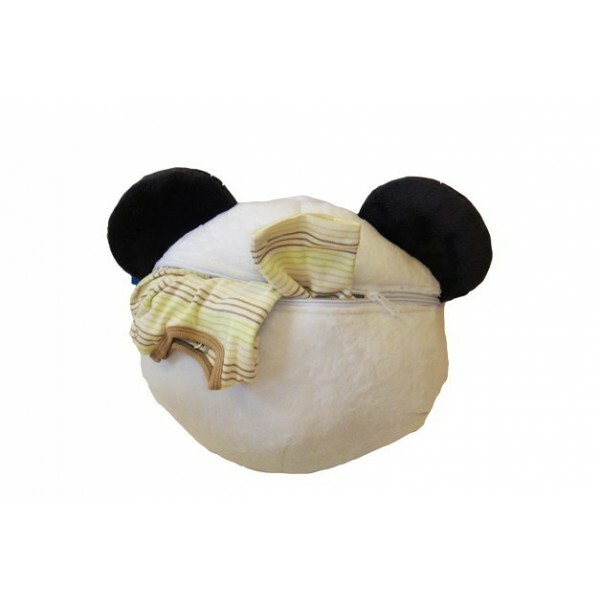 Why not use it to hide puppets and toys in it !It's also an adorable decoration in baby's room, who will be able to carry it when out or let him stay warm in bed.